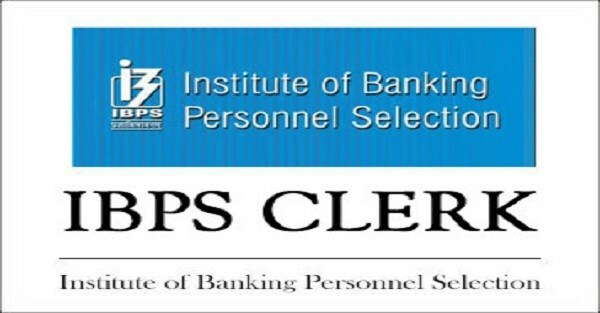 The Institute of Banking Personnel Selection will soon release the IBPS Clerk Notification 2019 on it official website. As per the sources, this year registration for the IBPS Clerk recruitment will be started from the month of September 2019 and will continue to October 2019. Those who have a dream to get a job in the banking sector can apply for the clerk post after the official announcement. Applicants must possess a graduation degree in concern discipline for the recognized university or institute. Read: कैसे पाये देश के सबसे बड़े बैंक SBI में नौकरी !!! Read: जानिये Reserve Bank of India के गवर्नर के अधिकार! Step 2: From the home page you have to hit on the appropriate link for IBPS Clerk Notification 2019. Step 3: A PDF file of the IBPS Clerk recruitment will appear at your screen, check the details carefully. Step 4: Must ensure to check eligibility conditions and if you find yourself eligible then hit on the online application form for clerk post from the home page. Step 5: Fill the application form by providing all the required documents. Step 6: Upload documents and pay the application fee. Step 7: Submit the form and note down the registration number and password for further process. Online notification regarding IBPS Clerk 2018-19 Prelims examination has been released by Institute of Banking Personnel Selection. There are total 7275 vacancies available for the post of CRP Clerks-VIII. Those aspirants who ensure all the eligibility norms can fill the application form through online mode with the help of given guidelines. The procedure to apply for CWE VIII Notification will commence from 18 September 2018 and continues till 10 October 2018. After reaching the home page you have to hit on “Click Here to View Advertisement for CRP Clerks-VIII “link. A PDF file of IBPS Clerk CWE VIII Notification will be appearing at your screen, read the notification details carefully. If you find yourself eligible the fill the application form by following guidelines provided in the notification. Upload the scanned copy of the essential documents and pay the required fee. Submit the form and take a print out of filled application for future use. i m student of bsc 3rd yr... my graduation will compete next yr... can i fill the form?? Hello sir... Sir I want to ask that will all aspirants who cleared the exam get job surly??? Or there will some conditions apply to get job?? thanks for sharing this information regarding IBPS Clerk online registration. Candidate who want to apply for this post will definitely helped through this article. As we all know that IBPS is coming with the notification form IBPS Clerk examination from this upcoming July 2017.
so, i will suggest every one for start preparing right now . soon we we will start.. Thanks for the important article about IBPS Clerk. As we all know that examination for prelims will be conducted from this upcoming december 2017.So can you please share some important tricks & strategies to prepare well for the examination. my brother want to apply for this job, bt today he got his result that he failed in 1 subject. the exam of that subject will be in january. and he will pass out. can he apply for the exam? Meri dob 16.01.1989 hai kya main iske liye eligible hu?